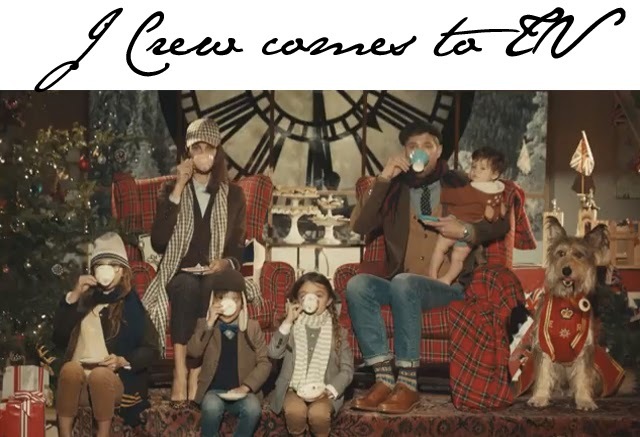 This Christmas J Crew will be making its national (USA) television ad debut. Well, it sort of is. You see, J Crew and Mastercard have come together to more or less tell people that Mastercard is the way to shop and if you are going to shop for clothing, where better than J Crew? Are we right or are we right? The ad campaign features a family of six, and one lucky dog, taking their family portrait for what we assume is the holiday Christmas card. Clad head to toe in J Crew and working every angle from British family to ski slope bunnies, this family is cute as cute can be. So the overall opinion? It's a win-win here with this partnership. Mastercard and J Crew, you've got us in the holiday spirit!